As we hurtle into yet another post-season for baseball that, once again, involves the love ‘em or hate ‘em New York Yankees, I reflect on America’s pastime and the toll it can take on the players and managers who are fathers. Unfortunately, we live in a society that loves a juicy story about fallen athletes. It can be hard to find an uplifting story about athletes who rise above the stresses and temptations of their sport, including those that affect the ability of athletes to be involved, responsible, committed fathers. 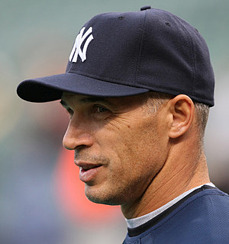 But look no further than Joe Girardi who, by all accounts, has been a fantastic father and husband during a playing and managing career that spans some 25 years. What has accounted for Joe’s success at home and on the field? A loving father and mother who were committed to their children and each other. According to Gay Talese in “The Crisis Manager,” an article that appears in a recent edition of The New Yorker magazine, Joe grew up near Chicago, the son and grandson of bricklayers. He learned about competitiveness and self-discipline from his father. He learned about perseverance from his mother who battled cancer during Joe’s teenage and early adult years, only to eventually succumb to it when Joe was in college. Each of these qualities are essential to managerial success in a sport that has baseball’s ups and downs. The time that fathers spend with their children is so precious, and so valuable. Something for all of us dads to bear in mind as we, too, fight the temptations and stresses that our careers and lives place before and upon us.